Here's a review of 2017 in logo form, featuring the most interesting and notable projects from the past year. A list of 500+ entries has been reduced to about 100 logos selected based on various criteria. Finally, the logo round-up for November. 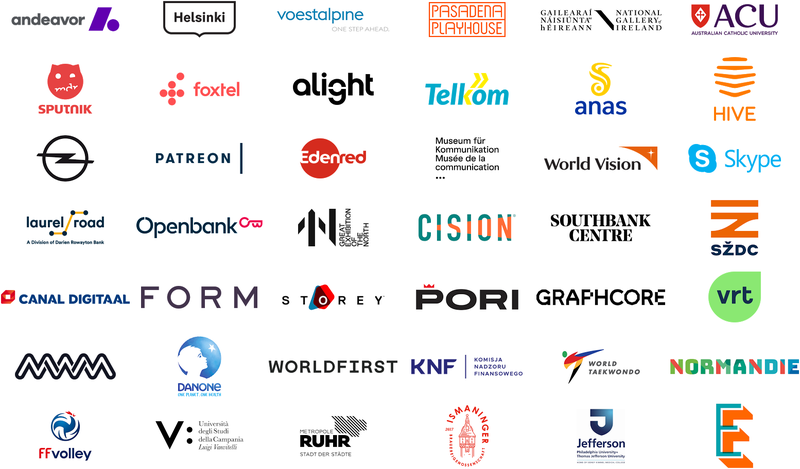 A healthy crop of new logos from around the world, with the new Formula One logo being the most notable. The "Year in Review" post for 2017 will come out some time after Christmas. Yet another quite delayed round-up for October, but hopefully you'll find it interesting. 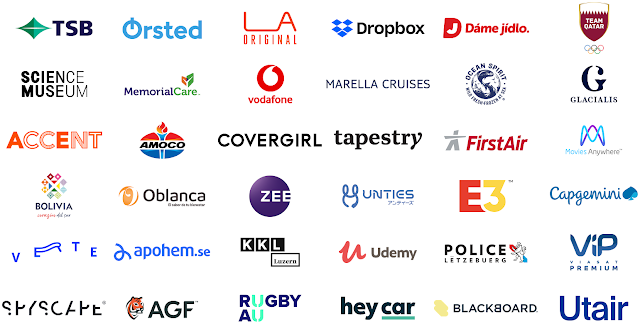 It features some fairly radical repositionings such as Ørsted and the Science Museum in London, and some brands that achieve big changes with small means, such as Dropbox and Vodafone. As well as about three dozen other new logos from around the world. Diamond Dining Group is a Japanese owner of restaurants and shops. Bach in September it transformed itself into DD Holdings, a holding company. The new visual identity was designed by Kashiwa Sato. The rebrand was a response to the fact that the company had developed beyond its original restaurant business into other amusement businesses. The Diamond Dining name will apparently remain in use. 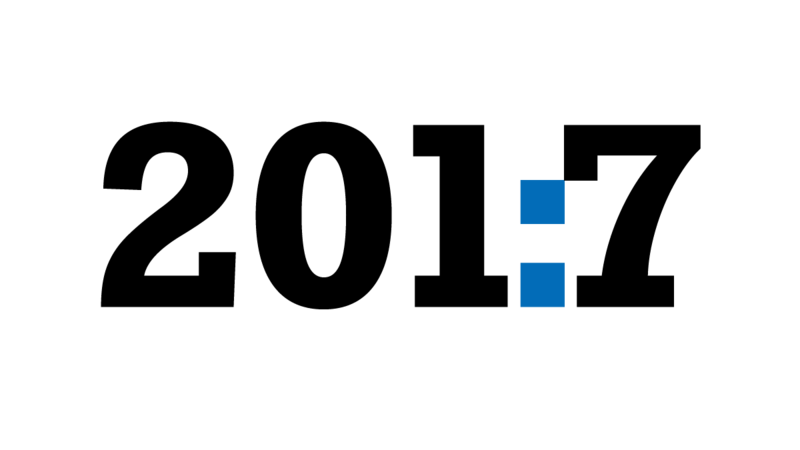 The double-D mark expresses a "free-spirited and vibrantly innovative corporate culture" with the holes in the letters representing "open innovation". Verte is a corporate travel agency in São Paolo. It was known as Traveland until last month, when it adopted a new name and identity, developed by FutureBrand. The rebrand is focusing on the values Verte provides for its costumers, the tailor-made solutions and the expertise within the company. The new name is Portuguese for "change" and the logo features a flexible linking of the E and R that can be expanded and contracted. The Norwegian bank Skandiabanken used to be a part of the Swedish bank of the same name until a few years ago, when it was spun off. As part of the transaction, the Norwegian bank had to eventually change its name, which it did yesterday by shortening it to Sbanken. 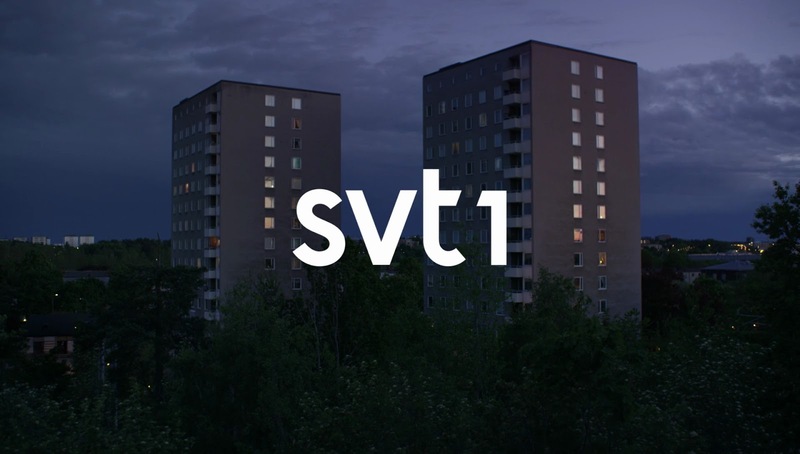 The new identity was developed by Oslo-based Bleed. Skandiabanken had mainly been an Internet bank since its beginning, an the new identity maintains the simplicity associated with Internet banking. It revolves around a sphere or circle representing what is important – the customer and what the costumer cares for. 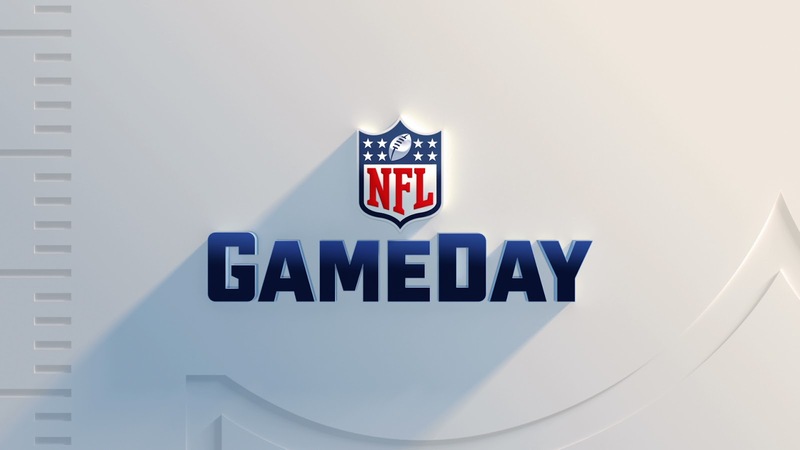 NFL GameDay is the flagship show of the NFL Network, providing more than 15 hours worth of highlights and analysis every Sunday. It recently launched a new look with new graphics by Trollbäck+Company. The new look is part of a complete review to create a holistic brand experience. The graphics are designed by be flexible and adaptable as the show's content changes rapidly to accommodate new audiences and new ways of viewing. Overall, the look has less of a three-dimensional "TV" style and more of the flat and clean style that works better across platforms. The motion graphics feature colours and logos from the different teams that have been cropped to create bold and interesting juxtapositions. Other commitments have meant less time for this blog, but here at least is the logo round-up for September 2017. This is probably one of the busier months, and this year was not exception, although there isn't really a single project that stands out as a revolutionary change for a major client. DONG Energy is Denmark's largest energy company. Last week it announced its intention to change its name to Ørsted. The new visual identity was developed by Kontrapunkt in collaboration with DONG's internal team. DONG was originally an abbreviation of "Danish Oil and Natural Gas", and was seen having a coal-based heritage not appropriate for a modern "green" energy company. The new name comes from Hans Christian Ørsted, the discoverer of electromagnetism. The identity programme and its logo are heavily rooted in Danish functionalist design from the 1930s. The second major influence is life, with a focus on natural forms. These influences are particularly evident in the custom type family, Ørsted Sans. The focus on wind energy is manifested by swirling graphic illustrations, and the varied color palette is inspired by Scandinavian nature and architecture. YouTube has gone through many design changes in its twelve year history, including tweaks to its logo, changes to the play button icon and even an official font revealed this spring. But the core logo has remained unchanged. Until today. Kinda. After several years using the wordmark with "Tube" enclosed by red screen interchangeably with the play button icon, YouTube has unified its brand identity. The play button will apparently always be present in the logo on all screen sizes, flanked by the wordmark when there's space or need. At the same time they've changed the logo colour from a specific hue (Hex #CD201F) to a pure screen red. Superliga Argentina de Fútbol is the new name for the highest division in Argentinian football. The new name and accompanying visual identity were launched this month, the latter designed by FutureBrand. This is part of a "rebirth" for Argentinian football, aimed at democratizing the clubs and the league. The logo is an "explosive" and rotating symbol that contains elements of both a planet and a football. The purple and blue color combination isn't used by any club and can therefore be used by everyone. Canal Vie is a French-Canadian cable TV channel dedicated to lifestyle programming for women, vie being the French word for "life". Last week, it launched a new look. As with most Canadian TV rebrands, it was developed in-house, in this case by the Bell Media Agency. The channel's logo has always been an apple, usually in brushstroke form and since 2013 enclosed by an app-style rectangle. The new logo reduces this to a simple leaf, representing "the growth, development and renewal of lively and inspiring programming". This July brought a handful of interesting and relatively high-profile redesigns for clients such as Tinder, SurveyMonkey, Sky Sports, Lation American bank BAC Credomatic and more than 30 others. Helpcode is an Italian charity that provides education for disadvantaged children, mainly in Africa. It recently launched a new visual identity, developed by Futurebrand Italia. The new logo features a symbol that is both a smile and two people, conveying how happy children are important to the future of their communities. It is supported by the tagline "The Right to Be a Child". Jersey Strong is fitness gym in New Jersey with eleven locations. It was known Work Out World until last week when it launched a new name and visual identity, developed by Carbone Smolan Associates. 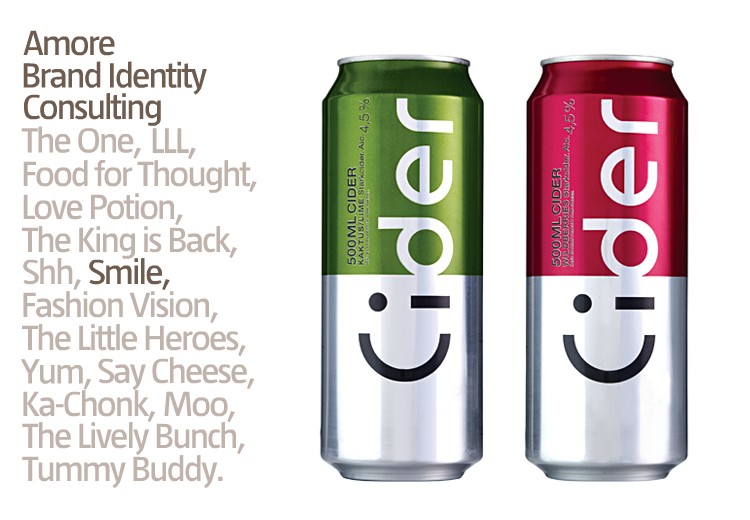 The previous generic name was swapped out for one that expresses the "pride, strength, and sense of community that defines the brand". The logo and other aspects of the identity programme use bold and strong typography to further convey this pride. The amount of music videos shown on Music Television (now known only as MTV) has famously declined over the last few decades. 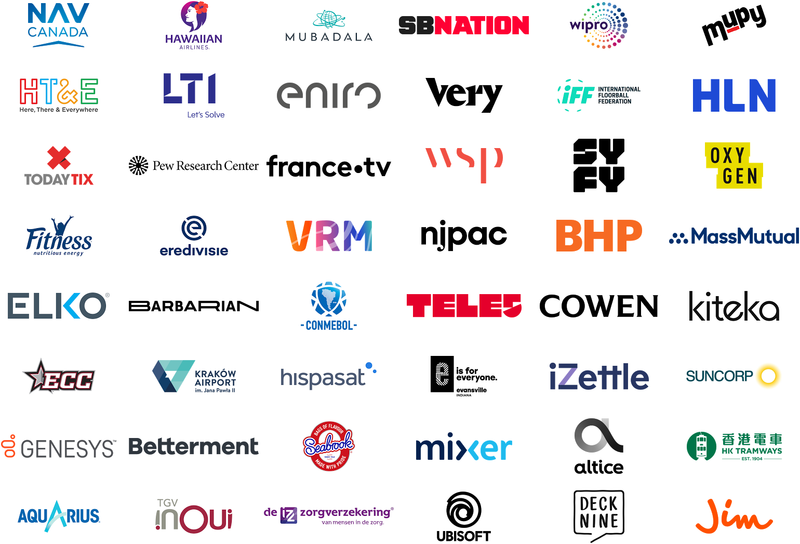 In many regions, MTV does however operate a series of so-called "Flanker Channels" that do mostly play music videos under names such as MTV Base, MTV Dance, MTV Classic, MTV Hits, MTV Rocks, MTV Live and MTV Music. 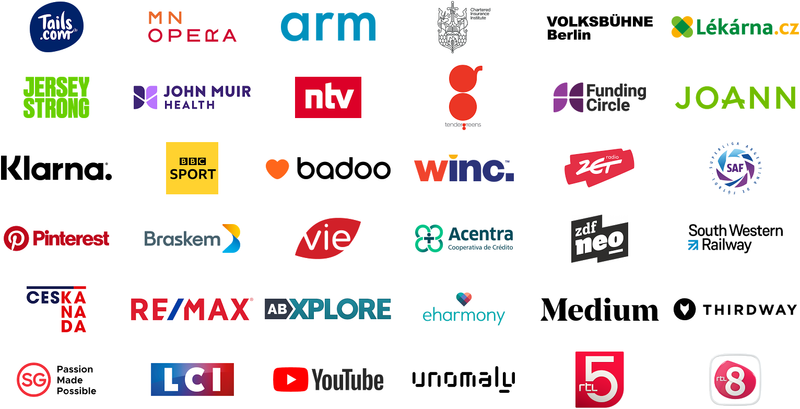 The full range of channels is available in the UK, while the offering differs in other countries. The flanker channels were recently given new looks, created by Los Angeles-based animation and design studio Laundry in close collaboration with MTV World Creative Studio. The brightly coloured graphics tie the flanker channels together through a common visual language that also allows them to affirm their own identities through genre-related imagery. 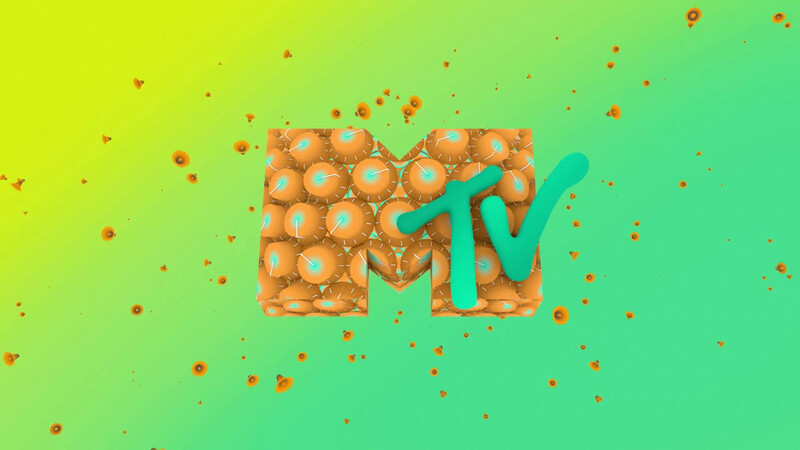 The package was built around the idea of MTV as a "virtual reality planet where each sub-channel is a genre-specific continent – inhabited by party animals" that appear in the animations. 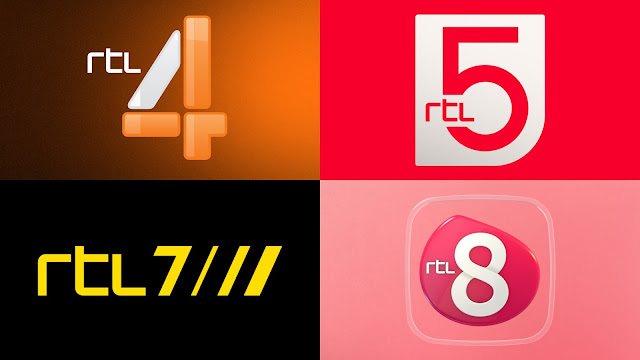 The basic channel logos did not change, but were given new and more varied colours. Adobe's recent announcement that they were ending support for Flash caused me to look through a bunch of old Flash-based portfolio sites before they become inaccessible. One of those came from the Swedish package design agency Amore and I though I'd share some elements from it here for posterity. The portfolio page was from late 2004 and features work produced before that, mostly from the early to mid-'00s. This includes two can designs for Cider and Liten Ljus Lager that have become modern classics for their graphic simplicity. ArianeGroup is a joint venture between Airbus and the French company Safran with activities in aerospace and defence, it's most famous product probably being the Ariane rocket launchers. In was known as Airbus Safran until last May when the name was changed to take advantage of the company's most famous product. The rebranding effort was headed by Carré Noir. The new identity wants to transform Ariane from a primarily technical and scientific enterprise to a more human one, while conveying the company's mission as "space enablers". This is done through an iconic symbol of space communication, a satellite orbiting a planet, which in this case is one of Ariane's launchers orbiting earth. The telecoms giant AT&T is slowly building a media empire through DirecTV and the ongoing purchase of Time Warner. As part of its integration, many DirecTV properties have had the AT&T name and logo slapped on them. Last month the turn had come to Root Sports, a set on regional sports networks owned by DirecTV that were renamed AT&T SportsNet. The new look was designed by Troika, who also created the Root Sports brand back in 2011. The new look is built around a concept called "Fan Connection" with heavy focus on home teams in a new more realistic graphics package. The logo has been designed to fit with the AT&T brand, including its signature blue colour. 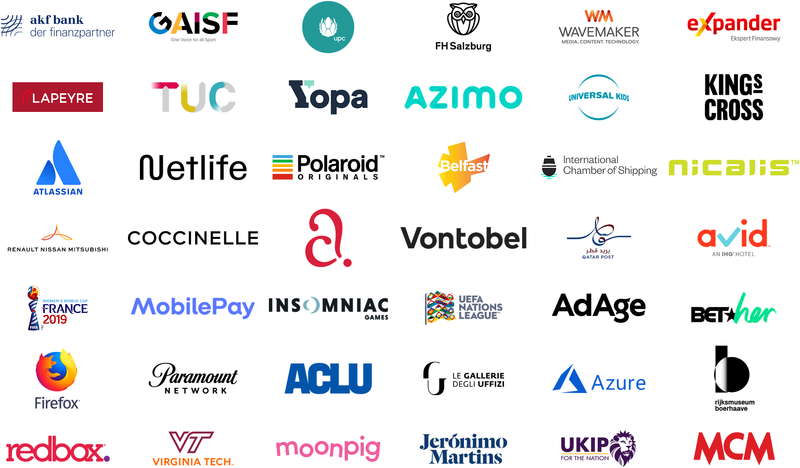 Dandelion is a new company recently spun off from X (formerly Google X), the experimental subsidiary of Google/Alphabet. It offers geothermal heating and cooling to homeowners in north-eastern United States. The company was announced on July 6, and the logo above above was a part of the announcement. Apetina is a brand of "white cheese", generally of the variety that most people call "feta". It is owned by Arla Foods and sold in several European countries. Last month it launched a refreshed look in the UK, designed by Bulletproof. Feta cheese is typically seen as a salad cheese, but it can be used for cooking as well, which is highlighted by the new packaging. The word mark was freed from its crescent-circle and simplified to increase its impact. Focus was moved to the diamond in the 'A' which is also used to enclose cooking in progress on the packages. 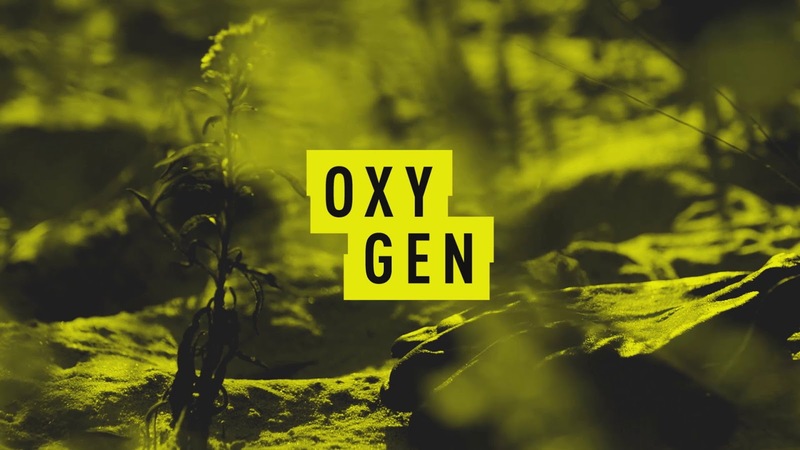 Back in May we reported on NBCUniversal introducing a new logo for women's channel Oxygen as part of its transformation into a "true crime" channel. The new logo and accompanying graphics package was designed by New York-based Trollbäck + Company, who recently revealed their participation in this project. Building on Oxygen's goals and research, the aim of the redesign was to create a "holistic true crime experience" for an engaged audience through graphics that "elevate the network's crime offerings and powerful storytelling across all platforms". The package makes use of crime imagery, starting with the 'crime scene' tape for the logo. But the overall design is more feminine than typical crime branding and takes its inspiration from contemporary news typography. This is probably the most belated logo round-up ever, considering July is almost over. That's mostly because June was yet another incredibly busy month with well over fifty new logos worthy of inclusion. Xref is a tech start-up that makes it easier to check references for potential new hires, thereby speeding up the recruitment process. It was recently given a new brand identity by Principals. Since Xref simplifies the hiring process, the entire identity programme is built around simplicity. This includes a reduced colour palette dominated by bright green and 'simple' iconic illustrations. SŽDC (short for Správa železniční dopravní cesty) is the state-owned railway infrastructure company in the Czech Republic. Last month, it revealed a new corporate identity which is yet to launch. It was designed by Studio Marvil. Marvil won the assignment in competition with three other major Czech design studios. Their suggestion replaces a complicated and outdated logo with a simple design featuring a new symbol. It features three tracks that form the letter Ž, which is the first letter in železnice which means railway in Czech. The rollout will take some time and will apparently not start until 2018. Canal Digitaal is the satellite TV platform used in the Netherlands. Last month, on June 20, it introduced a new logo along with some new services. At the moment, there doesn't appear to be any information available on who conceived the new logo. Edenred is a French company that calls itself "world leader in transactional solutions", its best known product being the Ticket Restaurant meal vouchers and cards available in many countries under differing names. It was known as Accor Services until 2010 when it was spun off from Accor. Last month, it launched a new visual identity, developed by Paris-based Royalties. In addition to replacing the old corporate logo, the new mark will also be used for the companies other services including Ticket Restaurant. This makes the company name much more visible to consumers. The old red dot used by Ticket Restaurant was quite recognised, almost having the status of currency for some people. The new logo takes its inspiration from the old red dot, but makes it more simple and "digital". 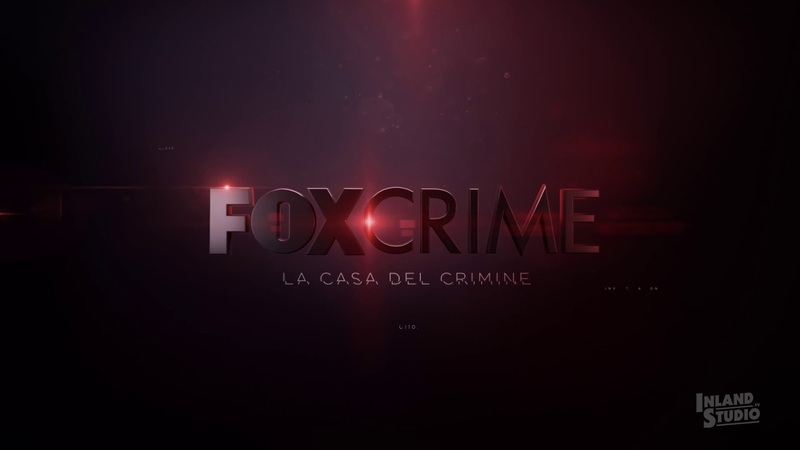 Fox Crime is a thematic channel from Fox Networks Group devoted to the crime genre, available in several European countries including Italy and Portugal. The Italian channel was recently given a new look by Buenos Aires-based Inland Studios that is due to roll out in other countries. Staying clear of cliche imagery, the new look has a more conceptual approach to the crime genre based around the idea of "deconstruction". This is manifested through organic dots and line, most importantly a glitch effect that is used for the logo and typography. Olivero is a new margarine from Norwegian food manufacturer Mills that includes butter and olive oil. It launched in March with packaging and identity designed by Oslo-based Tangram Design. The packaging is alluding to southern Europe, as is appropriate. Openbank is a online bank from Spain's Banco Santander group, founded way back in 1995. It operated as somewhat of a sub-brand of Santander until last month, when it launched new corporate identity, developed by Saffron Brand Consultants. The brand essence has been summed up as "Distinctly Simple", which is what online banking is supposed to be. The bank has discarded the Santander symbol for one of its own, a 'key' monogram made up of the initials O and B. 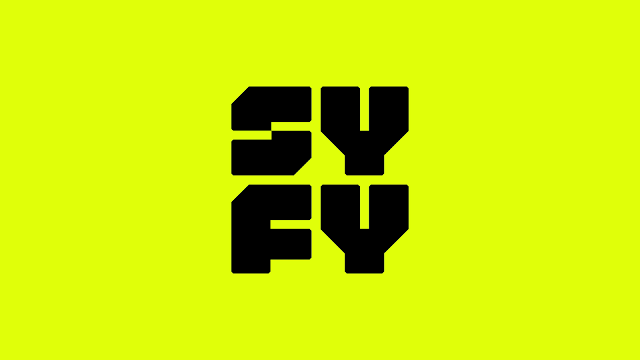 Back in May, the Syfy channel announced its completely redesigned logo. At the time we only had the logo itself and a few variations to glance at. The new look launched on June 19, and a few days ago the agency behind the rebrand – Loyalkaspar – also revealed its case study, giving us a complete view. Where the previous look was bringing Syfy in a more general direction with less emphasis on science fiction, the new package brings the channel back to its roots but tries to also confidently affirm sci-fi as a mainstream genre. This is apparent in the redesigned logo which is more clearly "sci-fi" than its predecessor. Loyalkaspar's graphics package is "editorial first" with a heavy emphasis on typography, including two custom made typefaces. The type is rigorously applied as part of flexible system that works across many platforms.